Student body president, that is. It's all the fault of Princess Mia's power-mad best friend and campaign manager, Lilly, who nominates her in the first place. This is not how Mia imagined kicking off her sophomore year, even if Grandmère thinks ruling her high school makes good practice for ruling Genovia someday. As usual, Mia has bigger problems to worry about, though. Sophomore geometry appears to be just as hard as freshman algebra, and a shocking B on her first English assignment has Mia reeling. And with Michael, her one true love, uptown at college, what is the point of even getting up for school in the morning? The last straw is what Lana whispers to her on the lunch line about what college boys expect of their girlfriends. It just keeps getting better and better. I love the ending! :) Michael's really sweet and all to Mia. Plus, you will see how Mia's character will change or evolve here eventually making her more confident. 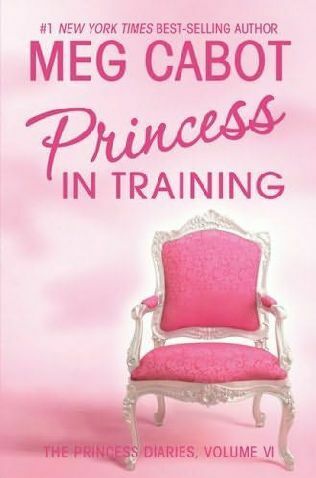 It is a must read and a book that girls shouldn't miss!